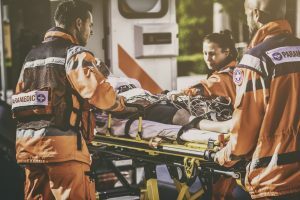 Sepsis Alliance & the National Association of Emergency Medical Technicians Team-up to Combat Sepsis –3rd Leading Cause of Death in the United States. San Diego, Calif, October 29, 2018 – Sepsis Alliance, the nation’s leading sepsis organization, and the National Association of Emergency Medical Technicians (NAEMT) are proud to announce their new partnership to combat sepsis and help save lives. Sepsis is the body’s life-threatening reaction to an infection. In the United States, sepsis affects 1.7 million people and takes 270,000 lives. As many as 87% of sepsis cases originate in the patient’s community. EMS and prehospital practitioners are often the first medical providers to reach these cases. They transport as many as 50% of patients with severe sepsis who arrive at the emergency department. Sepsis Alliance and NAEMT will provide sepsis educational tools, including Sepsis: First Response a training module, to EMS and prehospital practitioners via a webpage to be housed on www.naemt.org. This collaboration will also include the publication of an article about sepsis in NAEMT News, and a survey to gauge sepsis awareness among EMS and prehospital practitioners. This survey will be released in February of 2019. To access sepsis educational resources for EMS and prehospital practitioners, please visit www.sepsis.org/sepsis-first-response. To learn more about NAEMT, please visit www.naemt.org.